CVH-500 is an up-to-date CNC Circular Knives & Slitter Knives Grinder with the most advanced design in its appearance and structure. Fully-enclosed splash guard is standard equipment which is much safer and reduces noises greatly. Circular Knives Grinder with precise and user-friendly design can do further adjustments on forwarding cutting even after closing the splash guard. Equipped with rotary pneumatic cylinder, to change circular knife speedily is not a problem! 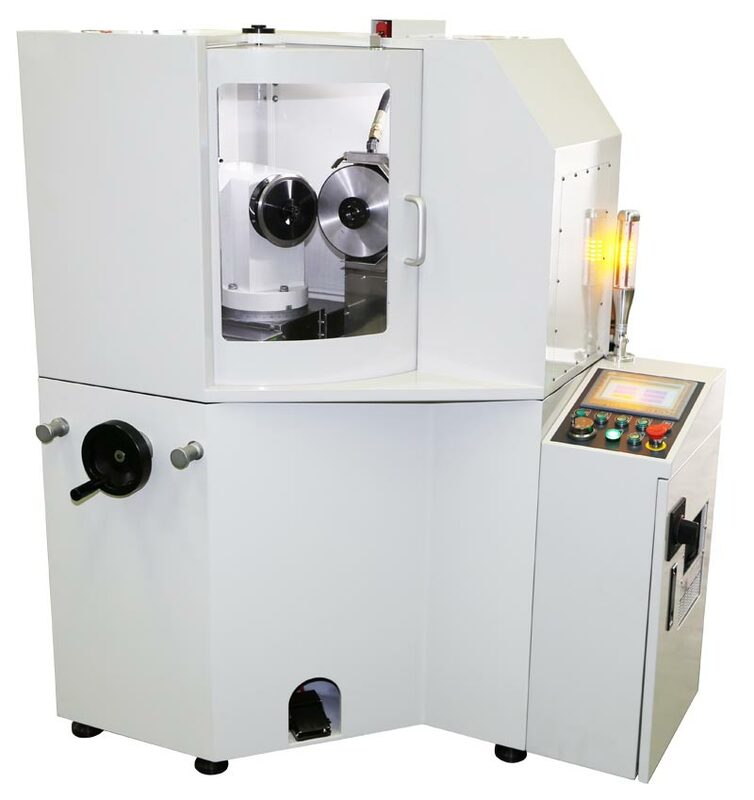 Z-axis controlled by servo motor which can set the grinding amount and number of grinding times freely. This is a precise and environmental machine which is suitable for Pulp and paper industry, plastic industry and other livelihood supplies industry. It owns a number of patents from Taiwan, U.S. and Europe as well as CE certificate. Eyan Machine Tools Co., Ltd © Copyright 2018. All rights reserved.